1. 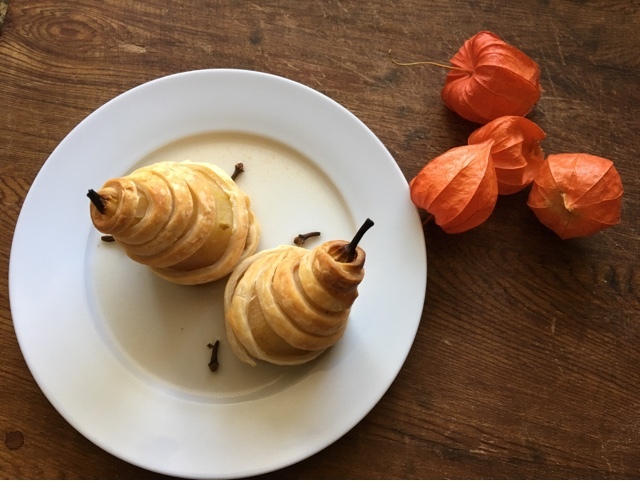 Peel pears and core from the bottom. Cut the bottom of the pears strait across, so they will stand upright. Set aside. 2. In a medium saucepan, combine the water, 2 sugar, honey, lemon, cloves, bay leaf and cinnamon. Bring to a simmer over medium-high heat. When the sugar has melted, add the pears. 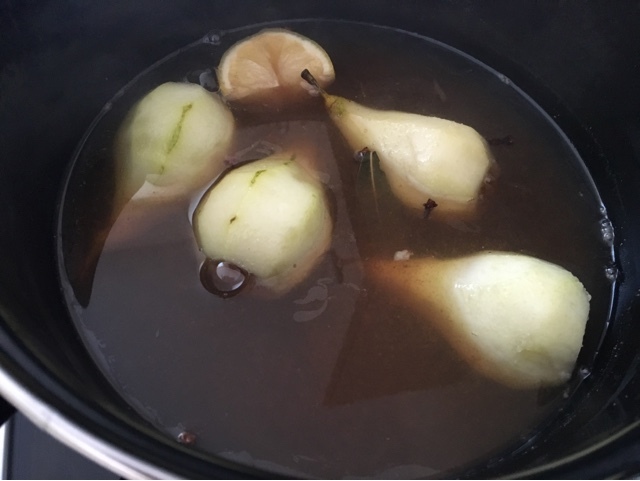 Simmer pears until they are fork tender. This can take 10 to 15 minutes, depending on the ripeness of your pears. 3. Preheat your oven to 200C(392F) and line a baking tray with parchment paper. 4. 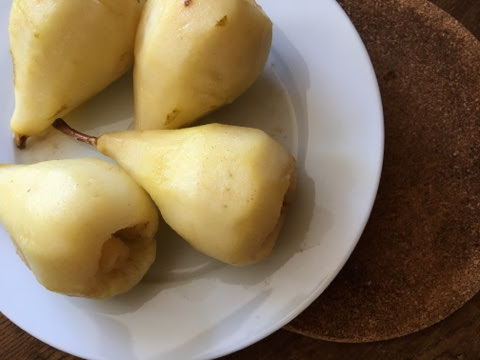 When the pears are soft, remove them from the pot and allow them to cool slightly. Discard solid pieces from saucepan and reserve 1 cup of the poaching liquid. 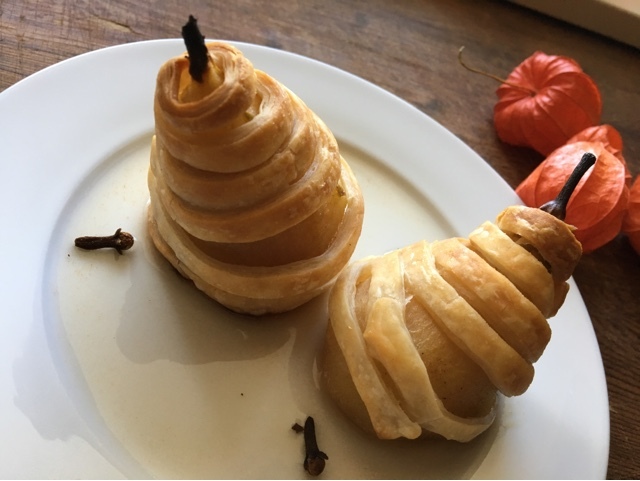 While pears are cooling, cut the puff pastry into strips. 5. 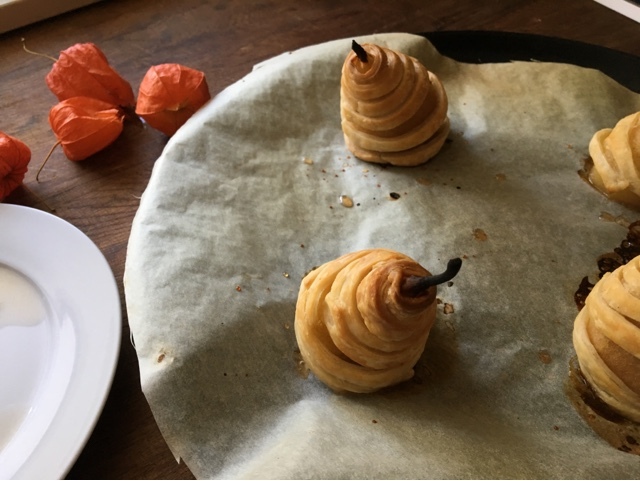 Wrap cooled pears with puff pastry starting at the bottom and working upwards. When you come to the end of a pastry strip, brush it lightly with water and press to adhere to the next pastry strip. 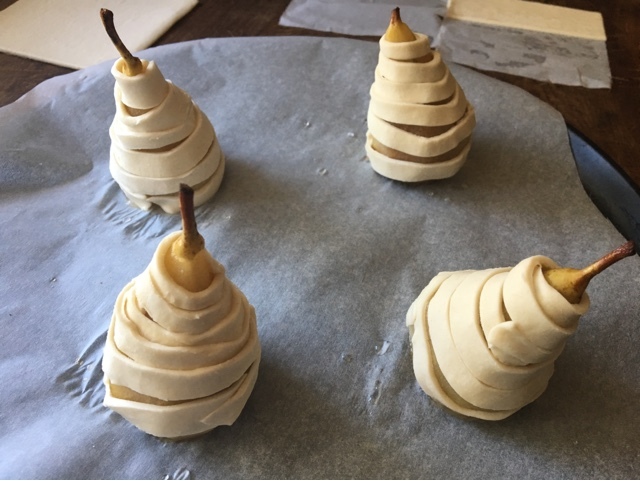 Continue wrapping until you reach the top of the pear. Tuck the end of the last pastry piece behind the previous dough spiral. 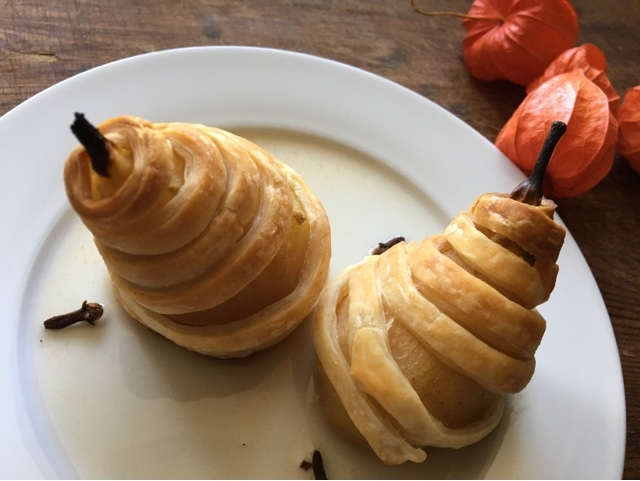 Place wrapped pears on a parchment paper lined baking tay. and bake for 20 to 25 minutes, or until puff pastry is golden brown. 6. Simmer the reserved liquid over medium heat until thick and syrupy. Serve the pears with the syrup.